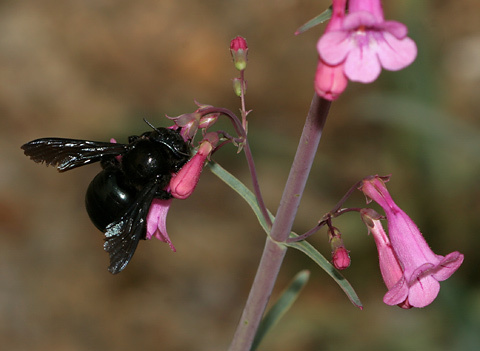 With many of their favorite wildflowers not blooming this spring because of our drought, these shiny, black Carpenter Bees (Xylocopa species) have become frequent visitors at blooming Parry's Beardtongues in gardens around Tucson. 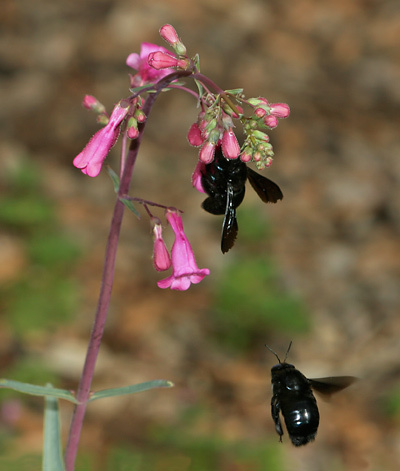 Carpenter Bees are much too fat to fit inside these tubular flowers, so they chew a hole in the base of the flower to steal the nectar without pollinating the flower. Parry's Beardtongues or Parry's Penstemons (Penstemon parryi) are native wildflowers found here in Tucson, but most of the ones blooming this dry year are cultivated. 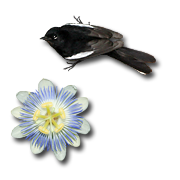 With the scarcity of native wildflowers, there is increased competition at any available flowers, and I observed these large bees buzzing around any hummingbirds or Pipevine Swallowtails that approached their flowers. 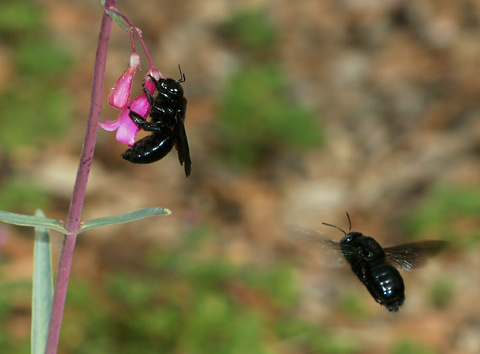 However, the only actual aggression I observed was between the Carpenter Bees themselves. I assume that this was aggression and not mating, but it happened so fast that I couldn't tell for certain. 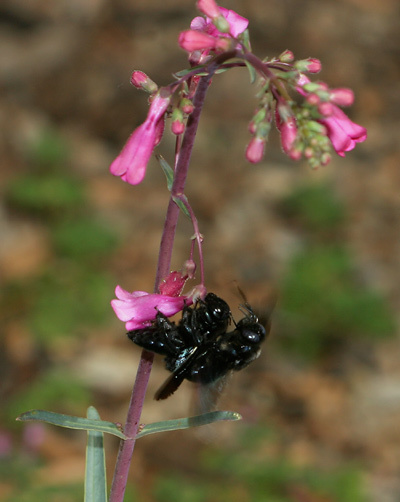 The apparent aggressor then flew off to another blooming Parry's Beardtongue and the apparent victim continued busily chewing into the flowers on this particular plant.